Smart homes are starting to become the norm, and it’s no surprise when they save time and money, are incredibly convenient, and can help make families safer. We’ve been wanting to update our home with different smart gadgets and technology, not just for security (though that is the most important aspect for us), but for convenience, and frankly, the cool factor of having such cutting edge technology as part of our daily lives. 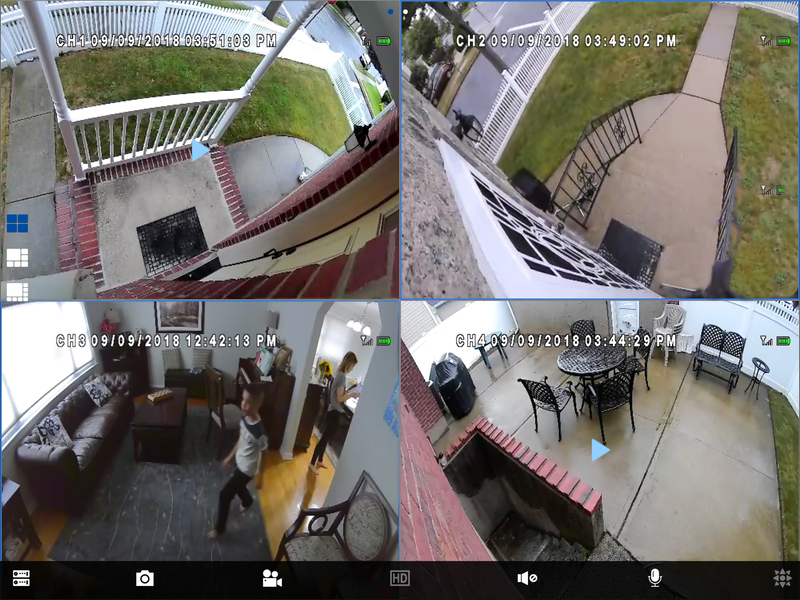 We love the idea of adding a sort of “The Jetsons” futuristic level of security to our home, and the Lorex 4-Camera Wire-Free Security System with 1TB HDD DVR was a perfect choice for us. We recently turned our eye toward making our home safer, and wanted a security camera system that was both effective and intuitive — if it wasn’t easy to use, I knew we’d never set it up or maintain it. 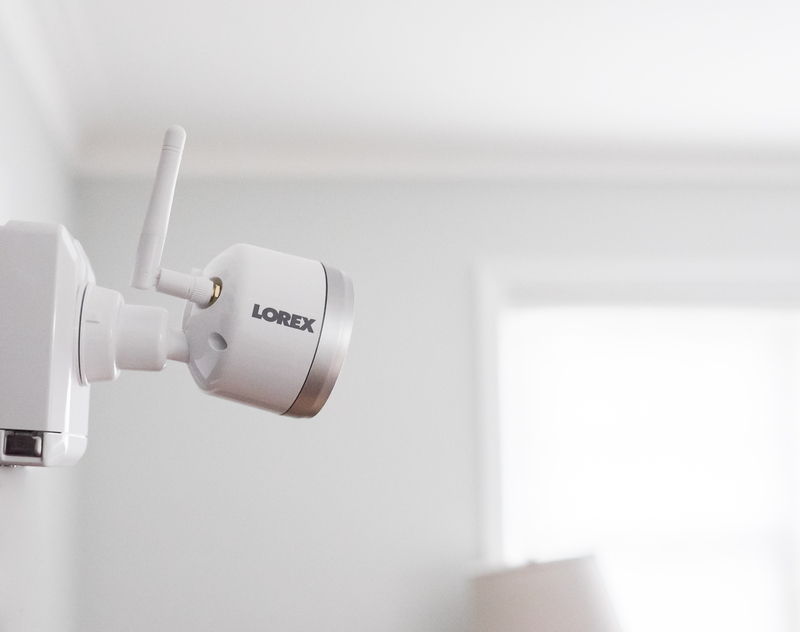 Our Lorex Wire-Free Security System features four individual wireless cameras that keep an eye on four different areas around our home, the four most important areas for me to be able to see. I can literally peek all around my house at any time from my tablet or smartphone via the Lorex Cirrus app, and I installed it on both to do just this. The cameras can be used indoors or outside (they are weather-proof), and everything is recorded on a single 1 TB high definition DVR that can store up to two years worth of recording locally. Because it’s motion-activated, with a built-in infrared sensor that can sense heat, there isn’t endless time-wasting recordings to sift through, or recordings of anything that isn’t an actual person (like leaves). The cameras only record when there is actual live movement happening. Our Lorex Wire-Free Security System is wireless (obviously), so installing it was easy even for me. I didn’t have to hire anyone to do it, or struggle with figuring out cables. I was able to place the cameras where ever I wanted to be able to see, but not so high that I would have a hard time changing the batteries. The rechargeable lithium batteries last about seven weeks, and even longer if there isn’t much movement to activate the camera. I installed each camera where we wanted to be able to see people coming and going, so we chose our three entry doors and our living room. If you are a parent who works outside the home, have pets, have elderly parents you want to keep an eye one for safety, etc., it is a great idea to install several of the cameras inside the home’s living spaces to be able to check on things easily on a tablet or smartphone no matter where you are. A very cool aspect of the Lorex Wire-Free Security System is the two way communication-capability. I can speak to and hear anyone I see through the selected camera via a microphone and a speaker. I can do this even when I’m not home. I love idea of visitors not knowing whether someone is inside or not, because it protects our privacy, and also gives us the convenience of not having to open our front door unless we really want to. We can see what is going on at home even if we are away on vacation or at work late at night, or even if we are actually inside our home and just busy. Love this! Since I’m a mom with young children, I also love that I can chat with my kids while they are playing in the backyard or living room. 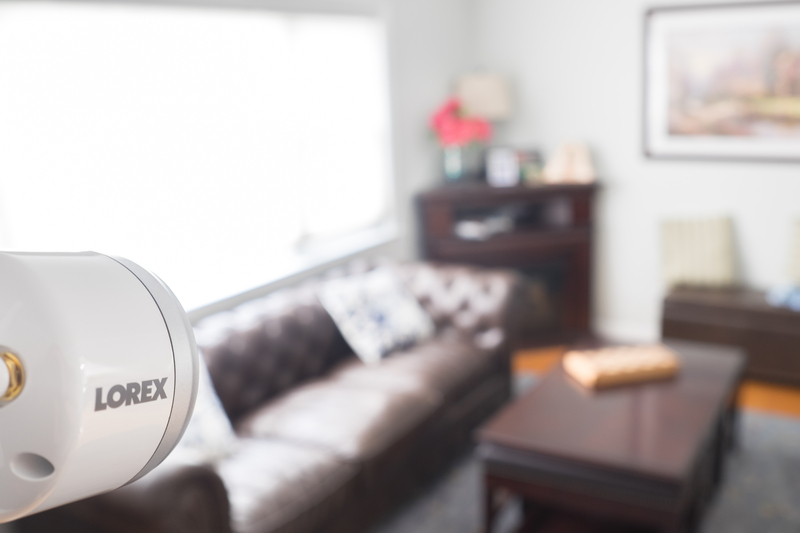 The Lorex Wire-Free Security System offers the convenience of acting as a throughout-the-home intercom that works indoors and outdoors, with visual enhancement. I can find out when they want a snack, if they fall, anything. The Lorex Wire-Free Security System even has the added bonus of letting us capture fun moments in our backyard that we normally don’t see, and from some cool, up-high angles. We can see ourselves enjoying family barbecues and the kids playing, and I can save those videos to keep as memories. 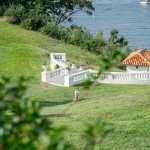 The images are high resolution and the cameras are capable of transmitting data up to 65′ feet with a clear line of sight and 140º angle of view. The 2MP sensors record in 1080p full HD and they capture video at night with infrared night vision, which is really impressive. I had stored the cameras in a drawer after popping in the batteries but before putting them up, and the video captured inside the drawers looks as though there was a light on inside (there wasn’t), so the night vision is very clear. I know the novelty of our new camera security system will wear off, but for now we are having lots of fun with it, dancing around in front of the cameras to activate them and record ourselves, and talking to each other through the microphones and the Lorex Cirrus app. Fortunately, I know when that’s over, it will still help keep us safe for a long time.